When you delete a file from your hard drive to the basket or when you format your USB drive or a partition, files are never really deleted. 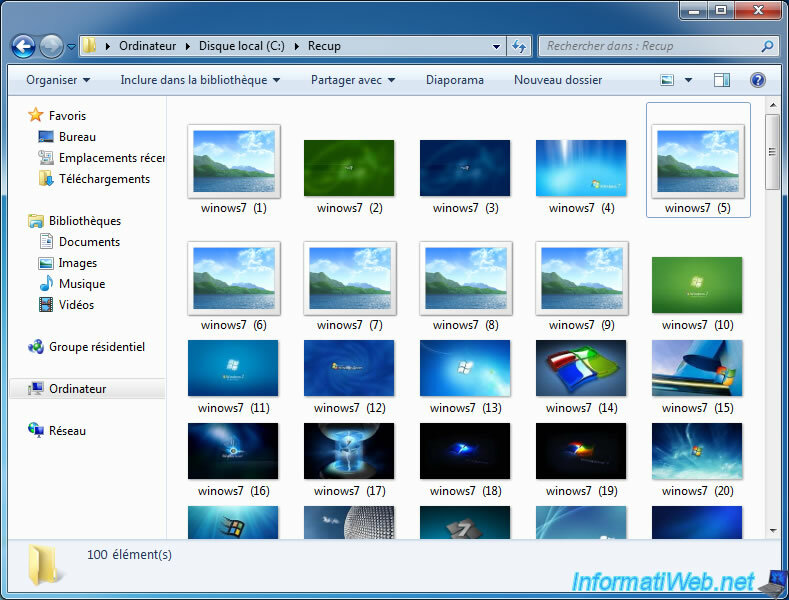 In fact, the operating system does not erase the contents of files you delete, he just removes them from the files list on the concerned partition. When you format a USB key or a partition of your hard drive, the operating system only clears the files list on the concerned partition. It is therefore possible to recover deleted files, and files that were on a partition that was formatted. To do this, simply use recovery software like Recuva (which is free and that we will use in this tutorial) and File Scavenger (which is paying, but much more efficient than Recuva). 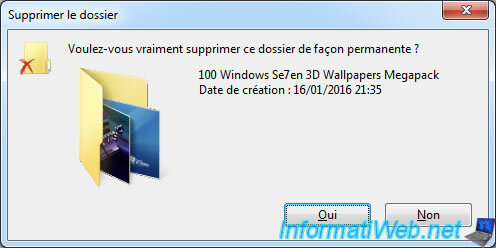 Before beginning, we copied a folder containing 100 wallpapers on the E partition named "données". Then, we deleted this folder "permanently" using the keyboard shortcut "SHIFT + DEL". These files are "permanently" deleted and will not be sent to the recycle bin. To recover data, run Recuva and click "Next". Note: To use the advanced interface of Recuva, click "Cancel". Select "Other" (Show all files). Note : In this case, we could select "Pictures". Select the location where were these files before they are deleted. In our case, we selected the partition E (données). 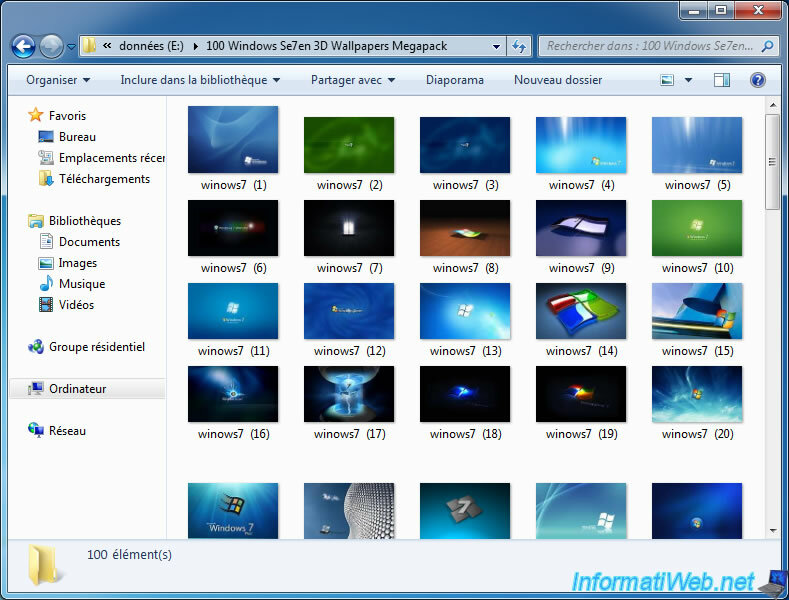 After several minutes or several hours of waiting (depending on the performance of your computer and the size of the partition to be analyzed), Recuva will display the list of files found in the specified location. As you can see, Recuva has detected our "100 Windows Se7en ..." folder with our image files that were there. We check the box at the top of the list to select them all, and click "Recover". 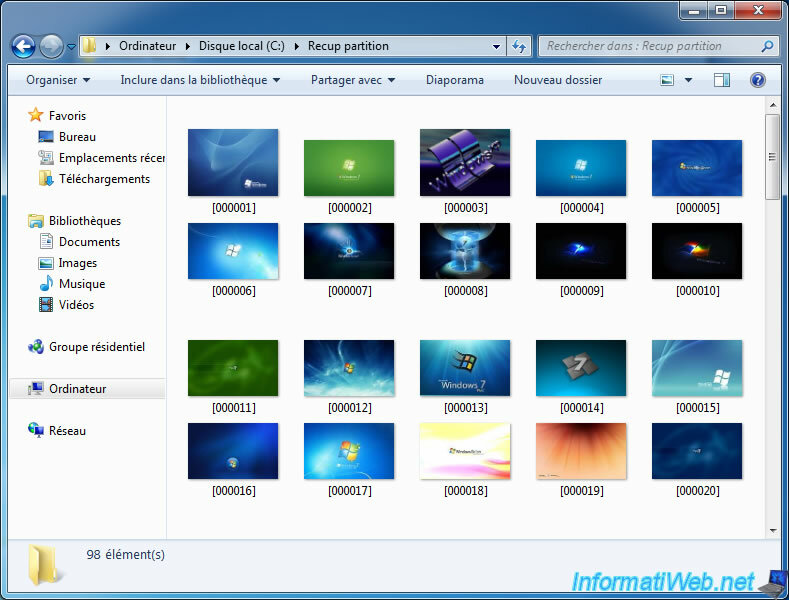 Create a folder on another partition and select it here. IMPORTANT : Never recover data on the same partition as the data that was deleted, otherwise the operating system might overwrite the data on where deleted files were stored. Wait for data recovery until this message is displayed. Note : The time displayed on the image below does not represent the real-time of a data recovery, as this program has been used in a virtual machine. So the speed of read / write is very fast. As we briefly mentioned at the beginning of the tutorial, Recuva is free, but it is not 100% reliable. Here is the proof. To try to recover all the data, try again by checking the box "Enable Deep Scan". In short, if you're lucky, that's good. But if you want a reliable program to recover your business data, we strongly recommend to buy File Scavenger. You will not be disappointed. If you format an USB key, the only partition present on an external hard disk or partition of an internal hard disk, Recuva also find the content of your deleted files. However, the program will recover only the contents of deleted files, but not their names. As opposed to File Scavenger who find them. To recover the data that was present on the formatted partition, you can go to the workstation (or My Computer or My PC) and right click on the partition you formatted by mistake. Then, click on "Search deleted files". Or, run Recuva and do the same as in the previous point of this tutorial : Next -> All files -> In a specific location [partition letter]:\ (eg E:\) -> Next -> Check the "Enable thorough analysis" box (otherwise, no files will be found) -> Start. Wait while the analysis of the partition. Then, after several minutes or several hours, Recuva will show you files that were present on that partition before formatting it. As you can see, Recuva has not recovered file names. Check the box at the top of the list to select them all, click "Recover" and select a folder that is on a different partition than the partition that was formatted. Once has been completed the recovery, the content of our files that were on the partition that was formatted was recovered.